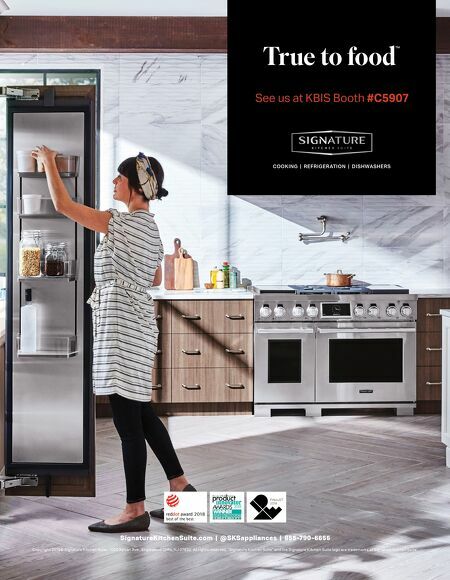 SignatureKitchenSuite.com | @SKSappliances | 855-790-6655 True to food ™ See us at KBIS Booth #C5907 COOKING | REFRIGER ATION | DISHWASHERS Copyright 2019© Signature Kitchen Suite, 1000 Sylvan Ave., Englewood Cliffs, NJ 07632. All rights reserved. "Signature Kitchen Suite" and the Signature Kitchen Suite logo are trademarks of Signature Kitchen Suite.